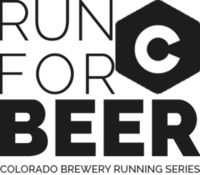 It doesn’t get more simple than this: walk / jog / run … drink beer … and raise money for local non-profits! Free beer, SWAG, music, local vendors & more! Join us at 11AM on Saturday, Oct 14th at Ratio Beerworks and enjoy a fun-run 5k throughout the surrounding neighborhood & parks! Walk, jog, run… no one cares! We’ve mapped out a course that starts and ends at the brewery and our guides along the way will make sure you know where to go. Cross the finish line and celebrate! All participants receive a FREE Ratio Beerworks craft brew and get to take home a collectors pint glass or seasonal swag item. Bring the whole gang! Everyone is welcome to stick around and enjoy the day’s entertainment: live music, food trucks, local vendors, and fun with our sponsors. Registration is limited to 200, so sign up today! Let’s consider this an “un-race” as it goes against many principles of those fancy 5k races you may be familiar with. This is not timed and you will not get a medal when you finish. What you will get is an excuse to enjoy the great Colorado outdoors, FREE beer and swag and an awesome community event, and the wonderful feeling that you are supporting our local community. Remember: a portion of all proceeds go to benefit local non-profits. Visit our website to see who we support and why: www.breweryrunningseries.com! The fun-run starts at 11 AM sharp! Plan to arrive about 30 minutes prior to check-in and check out our partners, sponsors and pre-race activities. Don’t forget some extra $$$. In addition to your FREE beer and swag, there will be merchandise for sale, food trucks, and plenty more beer! There is public parking at the brewery and on the streets nearby. We always encourage carpooling and safe, designated drivers. Is public transit an option for you? Check RTD and see if there’s an accessbile route nearby. Cheers to beer! We’ll see you at Ratio Beerworks!